1. Satisfy the hangry side. As your first meal of the day, brunch is the weekend version of breakfast. That starting meal gives you brainpower, energy, and can help you maintain a healthy weight. Though brunch can be a calorie fest, there are plenty of ways to pack on nutrition instead of pounds. 71% of adults are trying to eat healthier at restaurants, compared to 2 years ago. Restaurants are pleasing patrons by offering a wide variety of nutritious menu options. Seek out selections containing lean proteins, low-fat dairy, and fiber-rich fruits and veggies. Use this guide to help you choose tooth- and tummy-pleasing plates, or host your own healthy brunch. 2. Sleep now, eat later. If you (and hopefully your kids) sleep in on weekends, you may miss the “most important meal of the day.” Keep calm and snooze on because your mind, body, and smile need it. Next to smoking, “lack of sleep” is the leading lifestyle factor contributing to periodontal disease. And after a good night’s sleep, you’re more likely to make healthy food choices. 4. Take time to socialize. 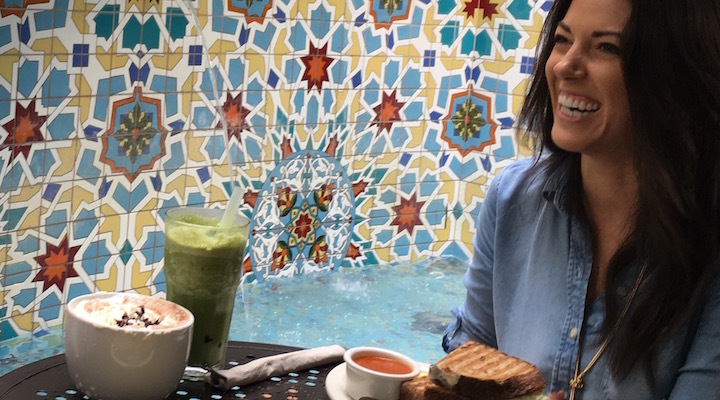 Brunch the right way and make each outing a treat for teeth, body, and mind.